Special Podcast: Dr. Marvin McMickle Honors Dr. MLK Jr.
Today, we bring you a message by Dr. Marvin A. McMickle. 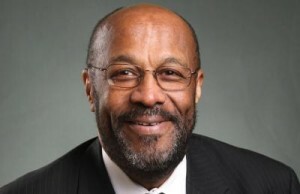 He currently serves as the 12th president of Colgate Rochester Crozer Divinity School. The message was recorded on Wednesday January 20, 2016 during our Seminary Chapel. Born in Chicago, Illinois in 1948, Marvin A. McMickle is a 1970 graduate of Aurora University in Aurora Illinois with a B.A. in Philosophy. His alma mater also awarded him the honorary degree of Doctor of Divinity in 1990 as well as the Distinguished Alumnus Award in 2000. He earned a Master of Divinity degree from Union Theological Seminary in New York City in 1973. That school also awarded him the Unitas Award in 2007. He earned a Doctor of Ministry degree from Princeton Theological Seminary in Princeton, NJ in 1983. 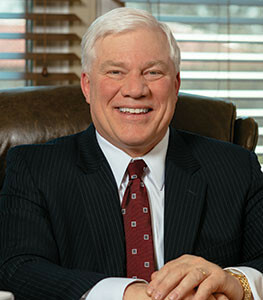 Princeton later named him a Distinguished Alumnus in the school’s bi-centennial year of 2012. He was awarded the Doctor of Philosophy degree (Ph.D.) from Case Western Reserve University in Cleveland, Ohio in 1998. In 2010 he was awarded the honorary degree of Doctor of Humane Letters by Payne Theological Seminary in Wilberforce, Ohio. Today, we bring you a message by Dr. Jerry Flora. This message was recorded on Wednesday January 13, 2016 during our Seminary Chapel. Dr. Flora is a beloved professor who trained hundreds of students for ministry at Ashland Seminary. He was named Professor Emeritus of Theology and Spiritual Formation. David’s recollection of his experiences with God led him to the standing ovation we find in the last verse. I don’t know about you, but I’ve never been moved to cheer wildly for a sporting team I wasn’t watching. I’ve never joined the audience in a spontaneous burst of applause at a concert I didn’t hear. And I’ve never been a part of a hearty “amen” for a speaker when I wasn’t present for the speech. As our days unfold, I want to encourage us to watch and listen, to remember and rehearse God’s hand around us and his Spirit within us. As we do, our standing ovations for God will be spontaneous, passionate and eternal. May our whole being sing praises as we remember the one who has been our shelter from the rain, the medicine for our pain and the cleanser of our stain. May we give thanks forever to our maker, defender, redeemer and friend. 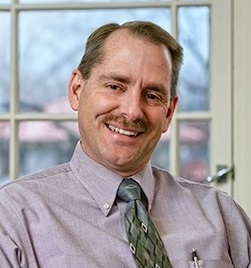 Dr. John Shultz serves as President of Ashland Theological Seminary and Professor of Counseling. In 1981, Dr. Shultz was hired at Ashland Theological Seminary as the first counseling professor. Over the years, he was a key component in local counseling, founding Cornerstone Psychological Affiliates and co-founding Appleseed Counseling and Case Management. Podcast: Identity and Crisis by Dr. Carlos Campo. This sermon was preached by Dr. Carlos Campo, President of Ashland University during our Seminary chapel on Wednesday November 4, 2015. Dr. Carlos Campo began his term as the 30th president of Ashland University on June 1, 2015, and brings a wealth of experience to this role, including serving as president of Regent University. For the past year, Dr. Campo has been working as an educational consultant for the Gates Foundation and serving as chair of the Alliance for Hispanic Education for the National Hispanic Christian Leadership Conference in Sacramento, Calif. In this role, he works to improve educational outcomes for Hispanic students; coordinates and serves as featured speaker at the Hispanic Education Alliance Summits; advocates for and works with national leaders in immigration reform; and serves as national spokesperson for educational issues within the Hispanic community. Prior to that, Dr. Campo served as president of Regent University in Virginia Beach, Va., from August 2010 to October 2013. 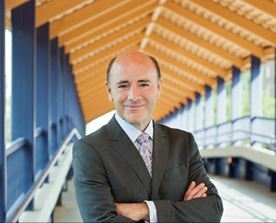 In this role, he oversaw and directed the administration, operations, academic affairs and international initiatives of an academic institution with seven graduate schools, an undergraduate college, online adult degree completion, continuing education and a diverse student body of more than 5,500 students. Jesus commands us to go and we have probably already gone! Too often, those of us who work in non-clergy or non-missionary vocations see our job simply as a way to get by or get ahead. Our occupation is what we do 40-50 hours a week to accumulate the money, status, and achievement necessary for us to survive and thrive. For those of us who are compelled by our faith in God, we have been conditioned to believe that our everyday work is separate from our service to God. We go to work each week to do the mission of our employer and then we join God’s mission on Sunday and in our other free time outside from work. This sermon was preached by Rev. Karen Liddy during our Seminary chapel on Wednesday September 2, 2015. 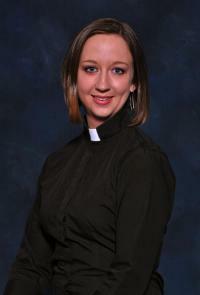 Pastor Karen was called to Peace Lutheran Church in January of 2012. 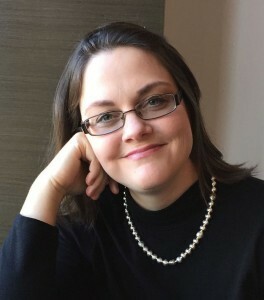 She graduated from Trinity Lutheran Seminary in Columbus, Ohio with a Master’s of Divinity after attending Capital University for her undergraduate studies and Yale Divinity School for a Master’s in Religion. Pastor Karen loves music and has a passion for worship that is both uplifting and in service to God. She very much enjoys teaching, as well as youth and family ministry and is looking forward to continuing her call to Parish Ministry in service to all of God’s children. She is married to Pastor Randy ODonnell who serves Christ the Redeemer Lutheran Church in Brecksville, Ohio and has four fur babies of the dog variety, Atticus, Robles, Cinders and Cooper. This sermon was preached by Dr. John Byron during our Seminary Chapel on Wednesday September 16, 2015. 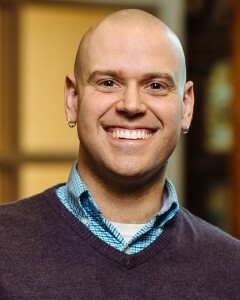 Dr. Byron has a desire to serve both the church and the academy, and, for him, Ashland Theological Seminary has been a wonderful joining of those two institutions. ATS is a place where freedom of thought and expression are grounded in commitment to God, and Dr. Byron’s teaching reflects that same emphasis. Listen to Dr. Byron’s message here. 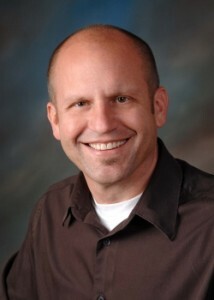 John Byron, PhD is Professor of New Testament at Ashland Theological Seminary. He is currently serving as Acting Dean. Podcast: Convocation Chapel by Seminary President John C. Shultz, Ph.D. 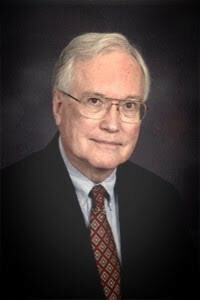 In 1981, Dr. Shultz was hired at Ashland Theological Seminary as the first counseling professor. Over the years, he was a key component in local counseling, founding Cornerstone Psychological Affiliates and co-founding Appleseed Counseling and Case Management. Since 2006, Dr. Shultz has served as President of Ashland Theological Seminary. Under his leadership, ATS has increased focus on its urban centers in Detroit, Cleveland, and Columbus, resulting in growth at each location. The importance of the spiritual life of students is always foremost in Dr. Shultz’s thoughts, as is his commitment to making a seminary education more affordable and accessible for those responding to that particular call from God.